Free high resolution close up photo of a bumble bee on a marigold flower. 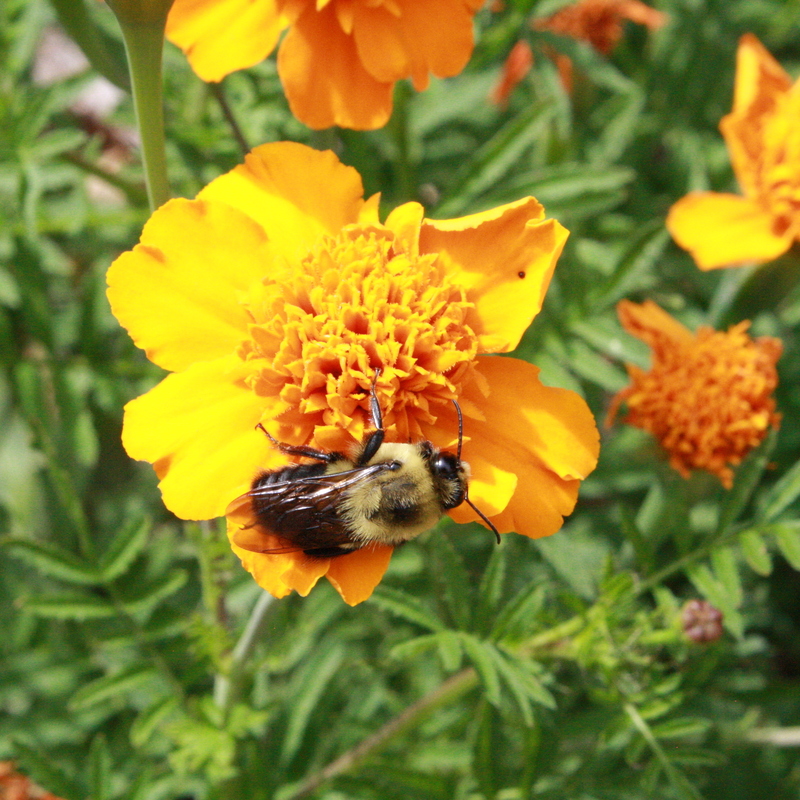 This photo shows the bee with its furry back perched upon a blooming marigold. Free image for any use.